Hand made custom facemask, #3 in series of 12 total masks, from L.V.M 2016 collection titled “Nature Punk”. 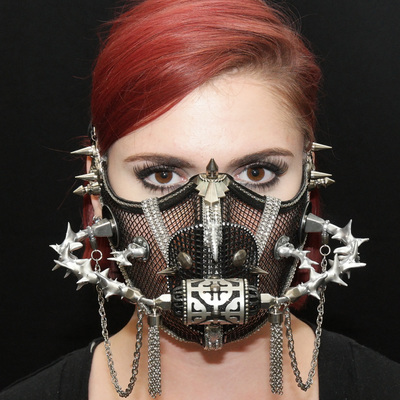 All masks are one of a kind, and will be viewable to all perspective buyers in advance of purchase upon request, provided the buyer makes appointment with L.V.M. 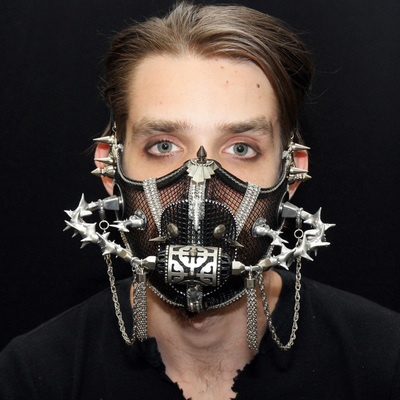 Mask is a “wearable work of art” and should be treated as such, therefore washing, extreme heat/cold, and heavy-use wear are not recommended and are not the responsibility of the designer.